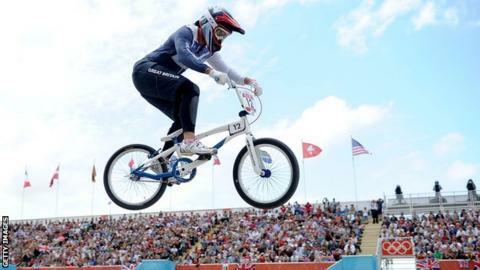 Multiple BMX and track world champion Shanaze Reade has retired from competitive cycling. The 28-year-old won back-to-back team sprint titles with Victoria Pendleton in 2007 and 2008, also claiming elite BMX gold in both those years, before adding a third BMX title in 2010. After focusing solely on BMX racing, she returned to the track in 2015 but failed to earn a place at Rio 2016. Reade will now take up an ambassadorial role at British Cycling. "I'll always be grateful for the support, training and opportunities British Cycling has provided me with over the years - both on and off the track," said Reade. "While my BMX and track career with the Great Britain Cycling Team has been both successful and rewarding, I'm now ready to move on from this experience to see what the future holds." Reade competed in the first ever Olympic women's BMX event at Beijing 2008 but crashed out of the final, also suffering disappointment at London 2012 when she finished sixth. She and Pendleton also missed out on taking a third straight team sprint world title in 2009 as they were beaten by Australian pair Kaarle McCulloch and Anna Meares in the final. "What Shanaze has accomplished over the years is really quite remarkable," said British Cycling's head coach Iain Dyer. "Being a world champion five times in two different cycling disciplines is no mean feat and Shanaze can leave the team with a strong sense of pride in her achievements."